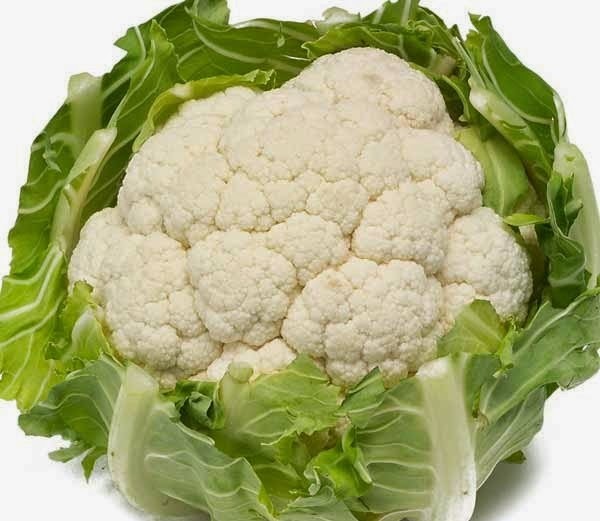 Cauliflower is popular as vegetable in India and it is cultivated in almost all provinces. There is no such place in our country where cauliflower is not used. Its botanical name is Bracica Oleresia Vera Botrytis. Cauliflower is used to make many delicious vegetables but very few people are familiar with its medical properties. If you know the associated knowledge then you will surprised. Let us know about the conventional wisdom of tribal belonging to cauliflower. Cauliflower has calcium, phosphorus, protein, carbohydrates and iron. In addition it also has vitamins A, B, C, iodine, potassium and small amounts of copper. So it is the mine of many important chemicals for our body. 1. According to the tribe, if its leaves being crushed and the juice should be prepared and then rinse out then bleeding from gums can be stop. Swelling also can be removed by chewing raw cauliflower. 2. You can get relief in arthritis by drinking juice of crushed leaves daily. It is believed that if you drink this juice for at least three months then all pain can be removed. 3. If you drink a cup of cauliflower juice with empty stomach then you can get relief in colitis and stomach pain. 4. According to tribal of Patalkot, swelling of neck and throat disorder removes by drinking juice of its leaves. 5. Blood will clean by chewing raw cauliflower. You can also get relief in many skin diseases. It is also helpful to increase physical strength as it has iron and protein elements. 6. You can get relief in constipation by drinking cauliflower juice before sleeping at night. Those who have complain of a burning sensation in urine they should eat more vegetables cauliflower. 7. Take cauliflower and carrot and make it juice in same volume. Drink 1 glass twice a day daily and you can get benefit in jaundice. Tribal in Dang, Gujarat, recommend the same formula to those people who have complain of pain in the bones of hands and feet.